There is no better way than head to Vat Phou Salao to take in a panoramic of the whole Pakse’s landscape. 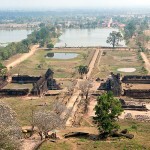 If you are planning Laos trips, a visit to Vat Phou Salao should be included in your travel itinerary. Up to now, the destination has become a point of interest that attracts an influx of visitors every year. The temple has loads of things to offer. First of all, visitors to Vat Phou Salao temple would be taken aback by a giant Buddha statue that provides a broad view over the city. This is hilltop temple’s centerpiece across the Mekong River which offers satisfaction and thrilling experiences beyond your wildest dream. One of the most exciting things that definitely satisfy your dream of traveling is to take a 4-kilometer-hikeup to Vat Phou. Or you can also take a tuk-tuk from Pakse out to the hill. The further you travel to its peak, the more fantastic view you get. The most amazing experience you have here is to have an opportunity to marvel at stunning sunset. 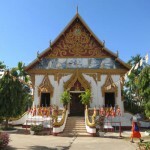 Moreover, in order to sense the full taste of the area, especially for those being interested in adventures, climb up the long staircase or stop in the parking area to up to Vat pHou Salao. If you reach Vat Phou Salao in the evening, you can live to the fullest by take in the cool evening air. 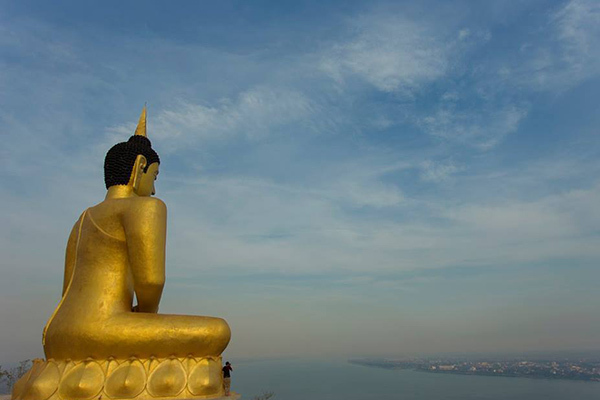 Furthermore, you will be rewarded with a wonderful view from the giant golden Buddha looking over the whole city or the Mekong River. Top things to do: There is nothing quite like rewarding yourself with spectacular views over the city and Mekong River, coupled with fabulous sunset. 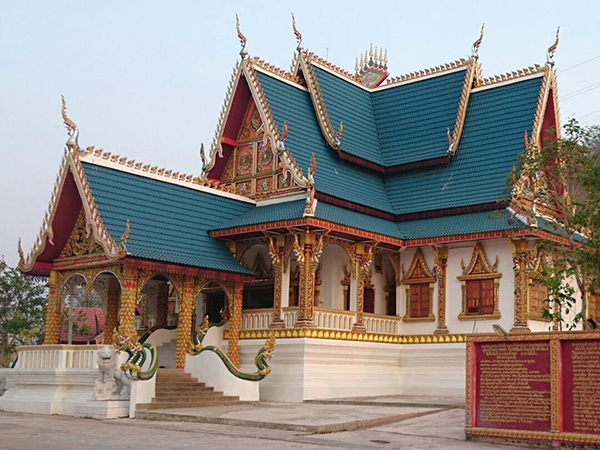 Along with that, both Vat Phu Salao as well as the giant golden Buddha statue located on the slopes of Salao Hill in Phonthong district are great things to do. 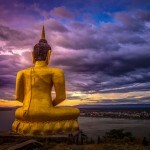 How to get there: As previously mentioned, catching a tuk tuk and taking a hike up from Pakse town are two of the best ways. Food and drink: In case of hungry or thirsty, you can purchase food and drink in the parking area or along the road.